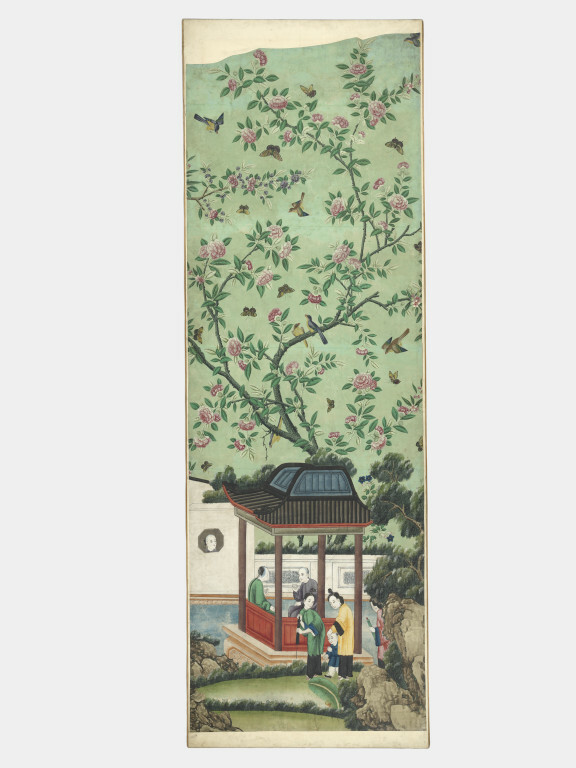 Wallpaper depicting a rock garden and pagoda, watercolour on paper, Qing dynasty, ca. 1790-1820. 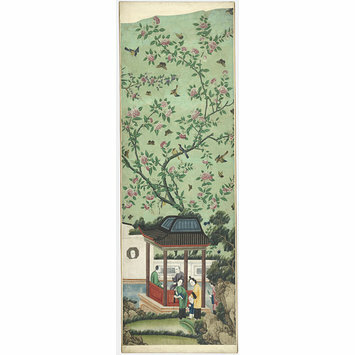 The upper part is decorated with branches of magnolia and almond, camellia, pomegranate and plum, with birds and butterflies on a green ground. The lower part depicts the story of a tea making amidst scenery with tea houses, pagodas, rock gardens and water.